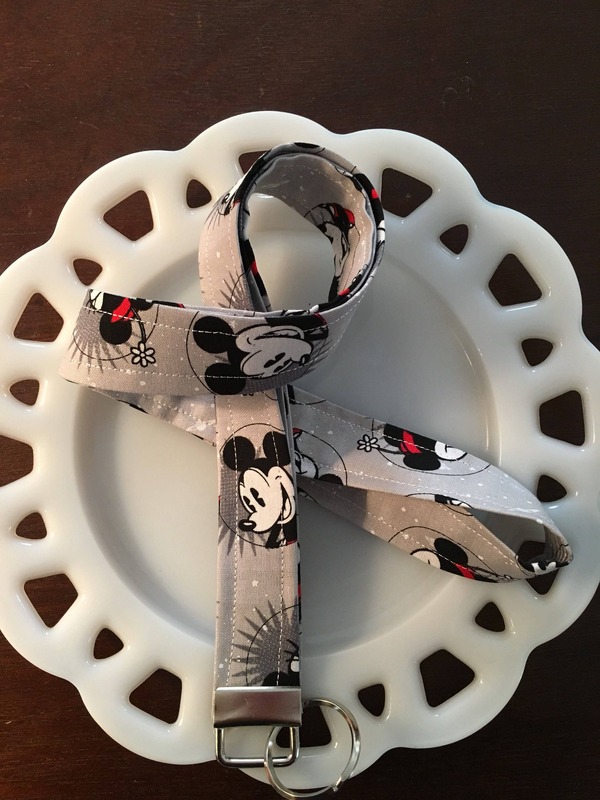 Black and white Mickey Mouse lanyard. 100% cotton. 21inch in length.